In addition to nitrogen and phosphorus, potassium is the essential nutrient for the healthy growth of plants, including grass. 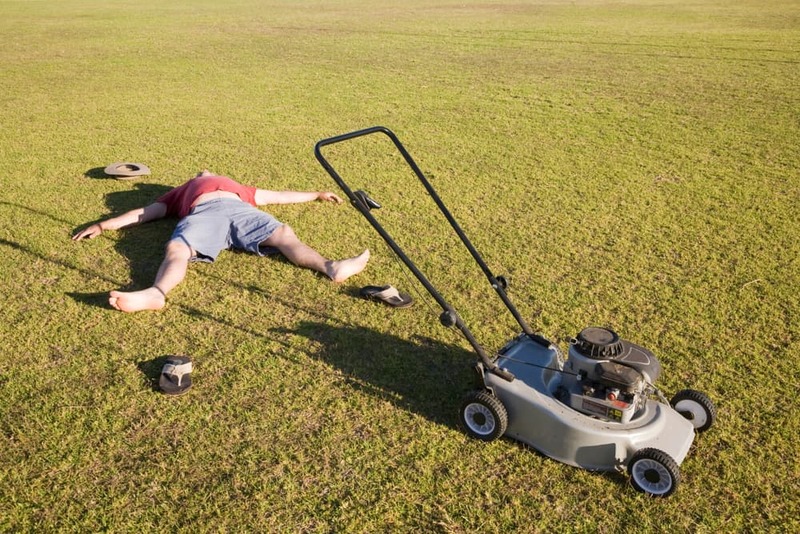 If you face low potassium in your lawn, you need a soil adjustment. Fortunately, there are a lot of organic solutions you can use to fix the issue with a lack of this mineral both quickly and in the long run. You just need to test your soil, add enough nutrients in spring, and wait for beautiful, green grass to grow. Look for signs of potassium deficiency regularly. The most common ones include yellow leaves and its brown edges. If the soil in your yard is sandy, this mineral can quickly leach out due to the high solubility of this type of ground. To avoid potassium insufficiency, test your soil regularly and amend it with well-rotted compost or manure to prevent draining. 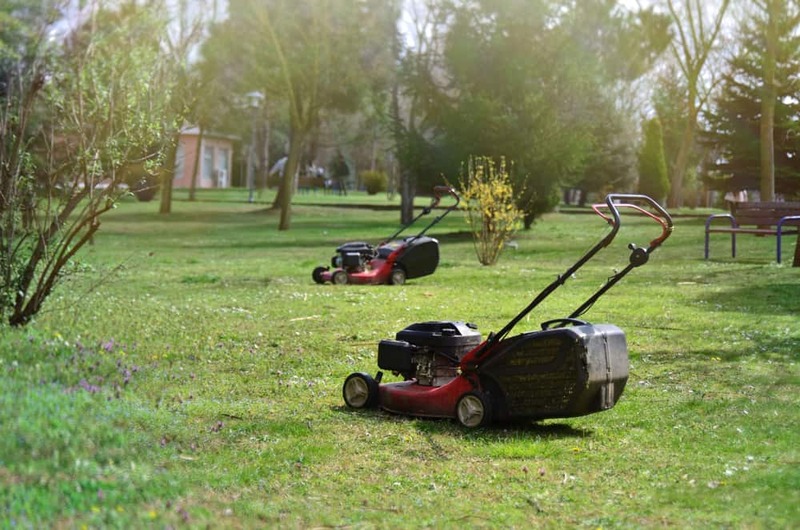 If you have enriched your soil with potassium, but your grass is still yellow and weak, adding the magnesium sulfate or an organic calcium-magnesium supplement is an excellent and quick solution. Why does it come to this? Since potassium directly competes with magnesium in the ground, it is possible that adding too much potassium lowers the amount of magnesium in the soil. You can solve the problem by determining the proper proportion between these two nutrients in the first place. To avoid any mistake, find a nearby university or a local soil-testing lab, and do the ‘soil test’ annually in spring. 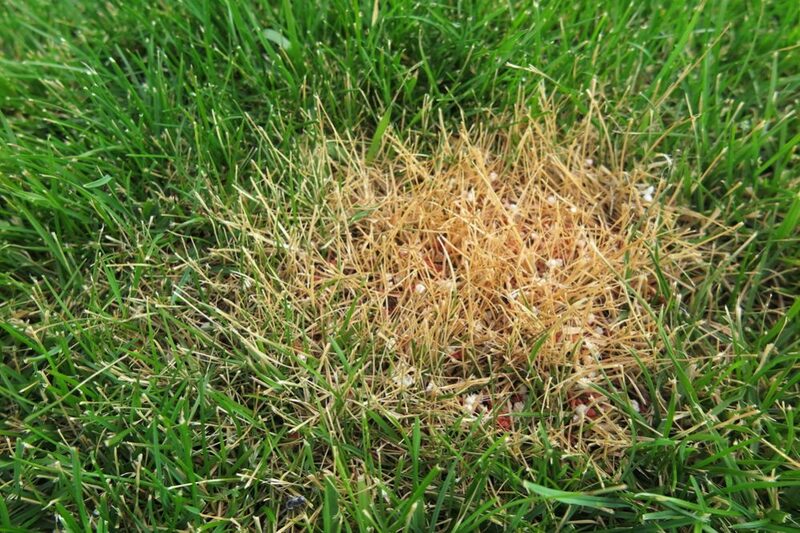 If the ground in your yard is stable and you grow the same grass every year, having a lab testing every two years will be just fine. Anyway, the results will show the level of essential nutrients (nitrogen, phosphorus, and potassium) in the ground. These levels are determined as very low, low, optimum, and high. If the soil test K levels are either ‘very low’ or ‘low’, that means that there is a low level of potassium in the soil in your yard. In that case, you need to add K fertilizer to improve turf health. Keep in mind that flowers can deplete the potassium supply from the soil in a few days when they start flourishing. 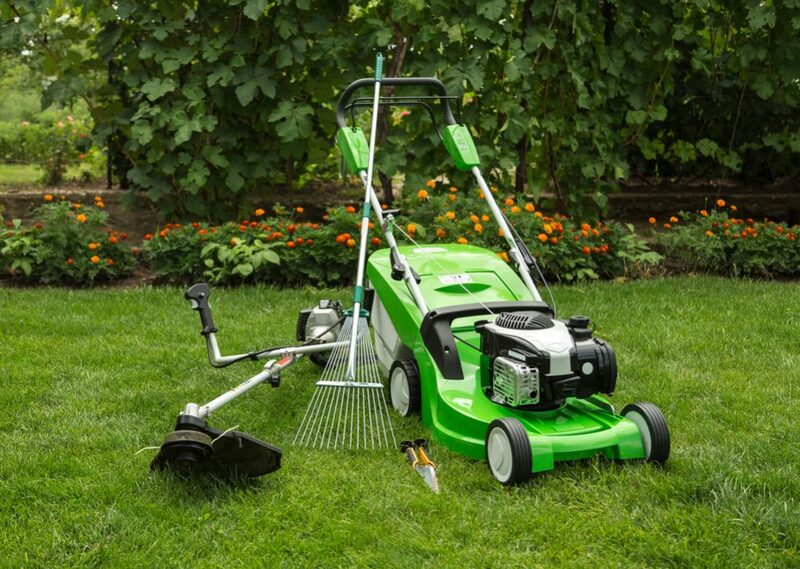 Lawn fertility is an essential aspect of lawn care. 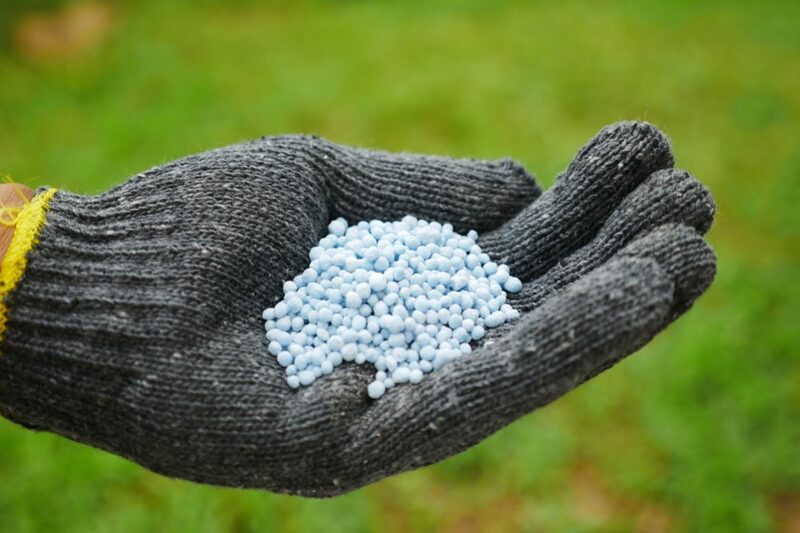 Before choosing the best fertilizer for your lawn, you should consider your options, read products’ labels and calculate the quantity of this particular element your lawn needs and the percentage ratio with nitrogen and phosphorus. 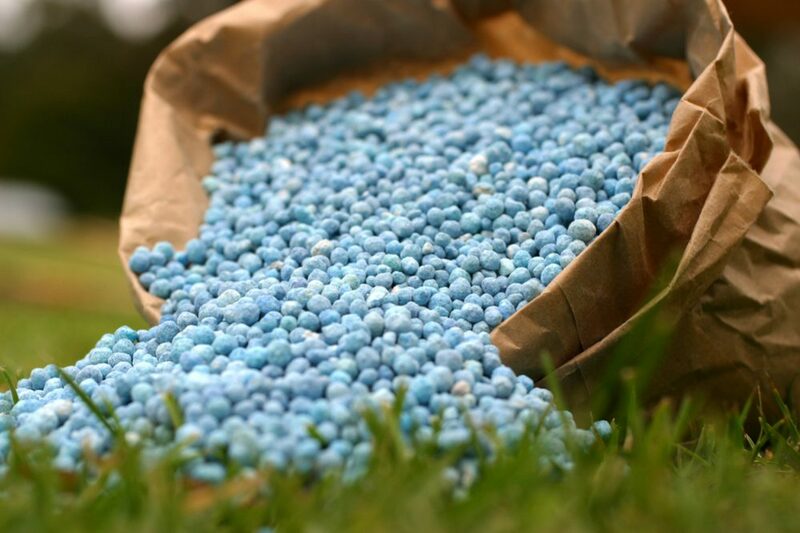 For example, if you need a 50-pound (22.7 kg) bag of fertilizer with a precise amount of these elements, you should pick out the one labeled with 20-20-20. That means that there are ten pounds (4.5 kg) of each of nitrogen, phosphorus, and potassium in the package (20% of each in the bag of 50 pounds). If your soil has a lack of potassium only, you can pick out the 0-0-60 bag without nitrogen and phosphorus. 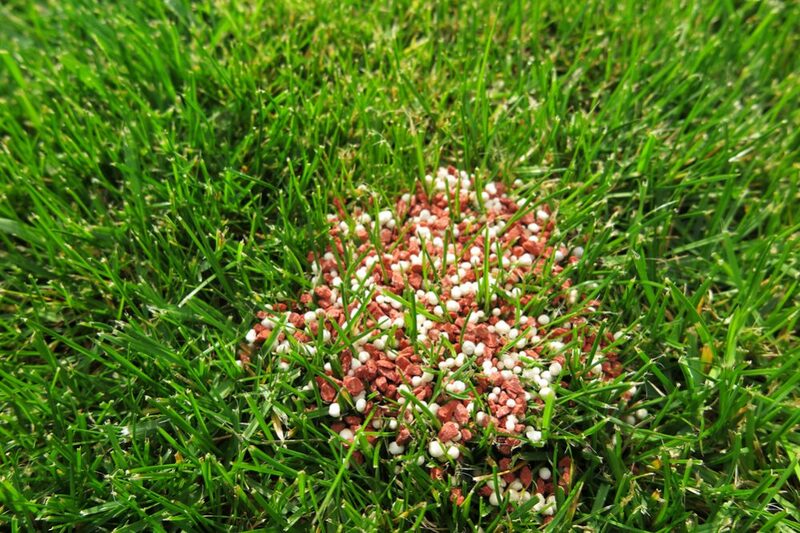 However, always keep in mind that you need to choose the appropriate fertilizer for your lawn, not the one which is best for some other regions. 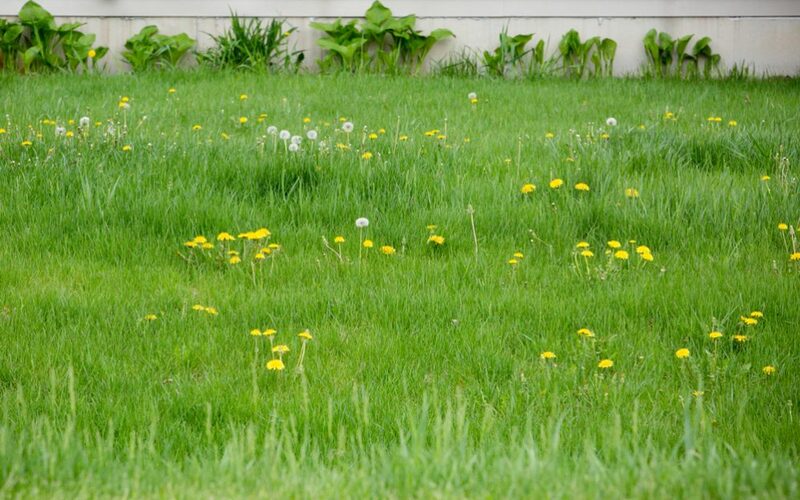 Therefore, determine the type of soil in your yard and do the soil test to get a recommendation about the fertilizer you need to use to create optimal conditions for growing grass in your lawn. Also, consider legislation options (there are fertilizers which are forbidden in some States) and your own preferences (organic / non-organic fertilizer) before making a final decision. 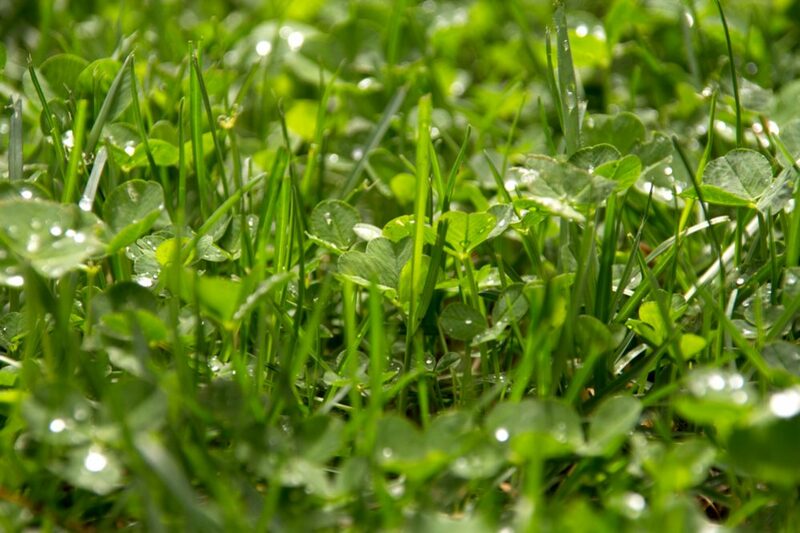 Soluble potassium will help protein synthesis, photosynthesis, and allow your grass to stay healthy throughout the year. Therefore, you need to add soluble potash when required. It is actually the best option since this form of the nutrient quickly dissolves in water, and allows the root system to use it easily. Sulfate of potash (potassium sulfate) and Muriate of potash (potassium chloride) are natural minerals which are usually used as soluble potash fertilizers for a winterizing. 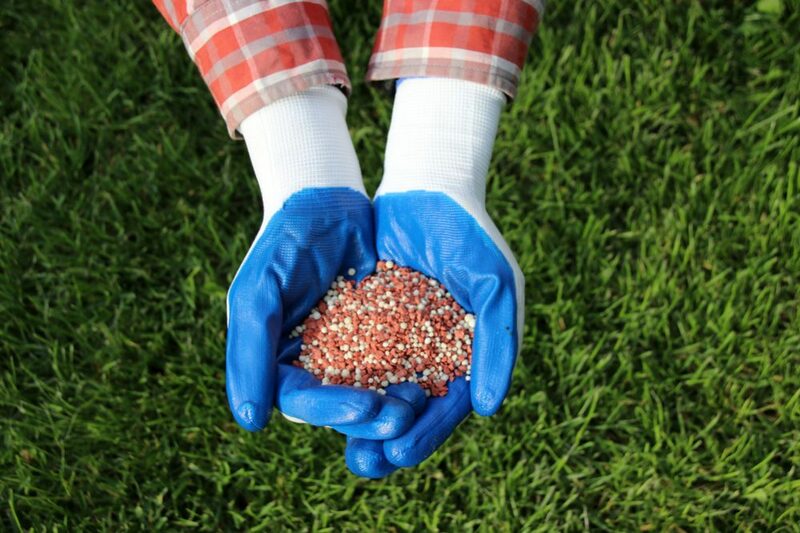 You can always choose the cheaper muriate of potash, but keep in mind that it contains the chlorine which may hurt beneficial bacteria from the soil in your lawn. On the other hand, the sulfate of potash is quite expensive, but it is highly safer. 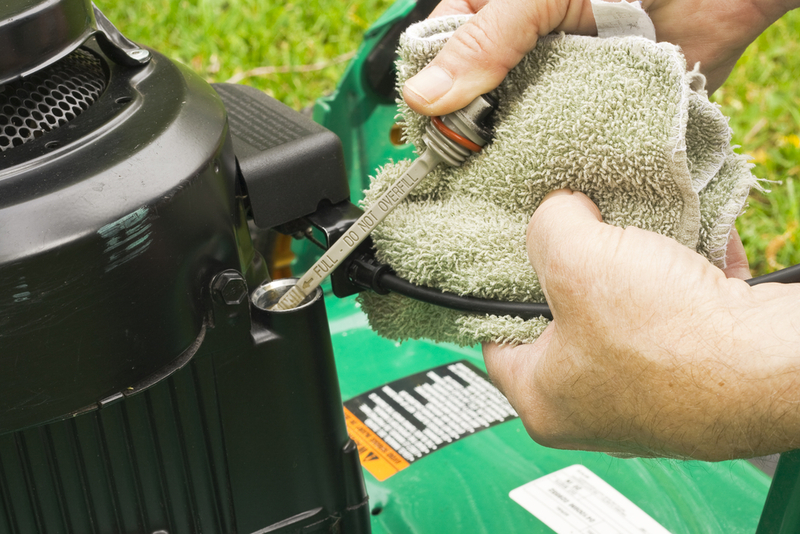 Before purchasing a particular product, check its label to determine the amount of fertilizer you need to add per one square foot (0.09 m2). Also, it is always the best option to buy the product certified by the Organic Minerals Review Institute as organic. Seaweeds (dried kelp meal) are rich in this nutrient and release it into the ground very quickly. Just mix a few handfuls of seaweeds into the soil and don’t worry. Sul-Po-Mag (sulfate of potash-magnesia / langbeinite) is an affordable option for the soil deficient in both potassium and magnesium. Hardwood ash is a good solution when you want to increase the pH of your soil. When using it as a source of potassium, you need to check the soil regularly to avoid a dramatic increase in its acidity. The best way is to think about your options in advance. Some methods of enriching the soil can take too long, but you will get long-lasting results. When face potassium-deficiency in the soil, one of my favorite solutions is to add greensand to my yard. In general, you need approximately 5 pounds (2.3 kg) of it per 100 ft2 (9 m2) of soil. Just wait for a while that greensand releases this necessary nutrient and you can enjoy excellent results. Also, you can add greensand into your compost tumbler. 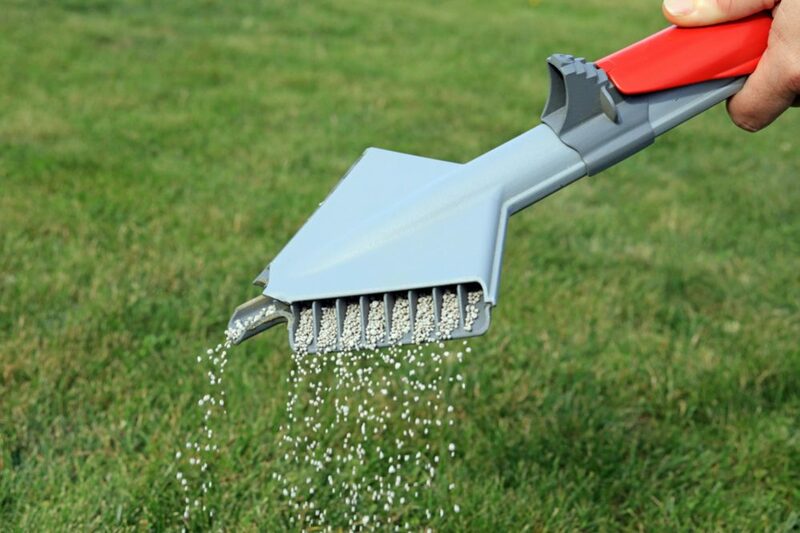 That way, you will increase the level of potassium in the compost and consequently provide enough amount of this mineral for your lawn. 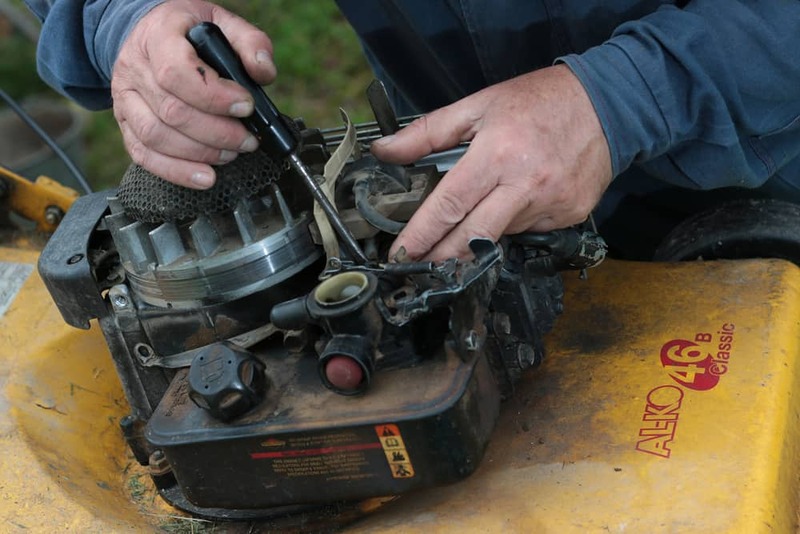 These methods are reliable, but they take several months to give the first results.